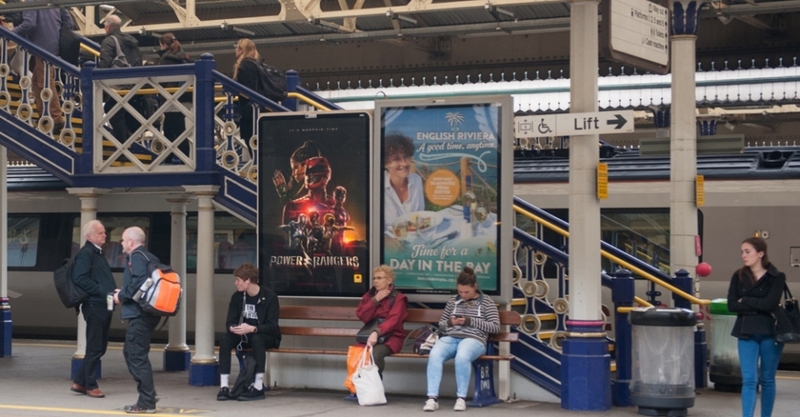 Working in partnership with RH Partners this new English Riviera awareness campaign commenced on the 13th March to Friday 21st March and has generated a 68% increase in traffic from Exeter to the official English Riviera website compared to the same time last year. All calls to action was to visit the official English Riviera website. Target Day Visitors from Exeter, making a ‘big thing’ of the new road and the fact that South Devon’s Beautiful Bay and all that it offers is now just 30 minutes away and the perfect location anytime, daytime or nightime. 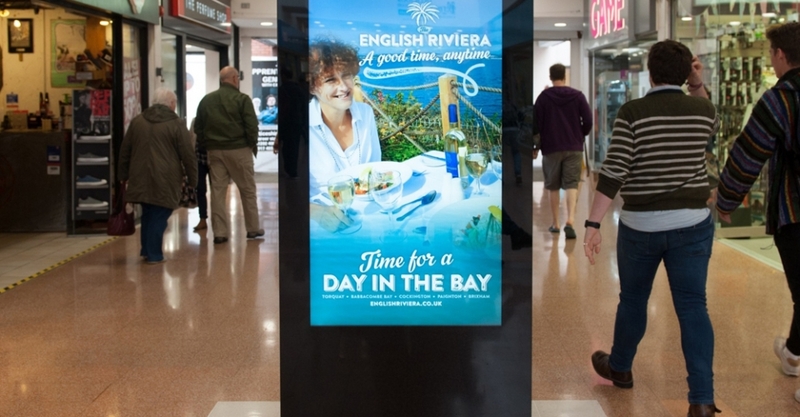 We planned a combination of formats in Exeter to maximise visibility through impact and frequency. The solution included both buses and posters. 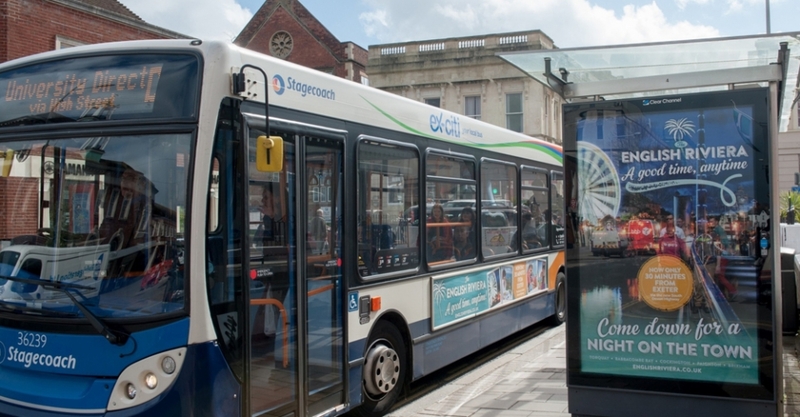 Buses not only provided coverage in Exeter but also coverage out of the city into surrounding market towns and villages surrounding Exeter. Radio is a great call to action medium and works particularly well in conjunction with both digital and outdoor media. To maximise reach we recommend the inclusion of both local commercial stations for the Exeter & East Devon area: Heart Exeter and Radio Exe. 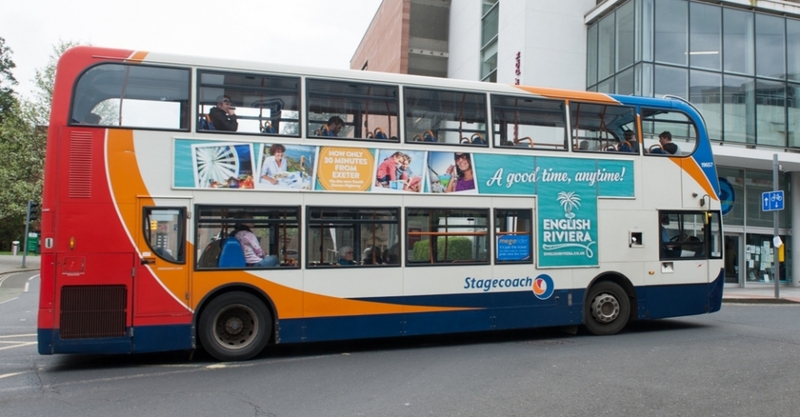 25,000 Exeter households were delivered a free copy of the new style 2017 English Riviera mini-guide (previously known as the Great Days Out Guide). 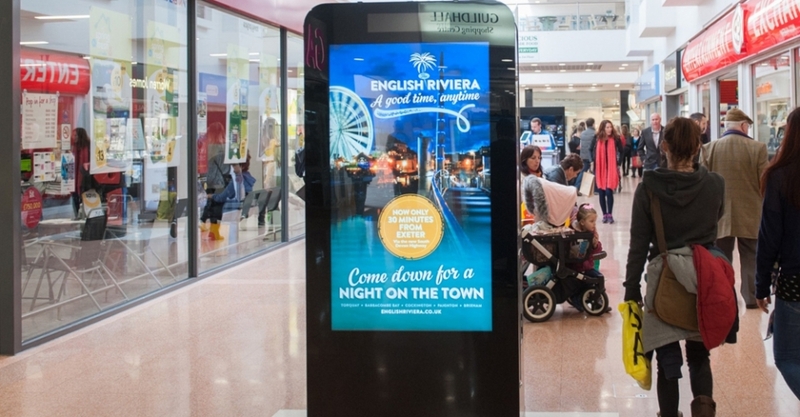 A dedicated digital campaign utilised Social Media channels that would deliver large awareness of the campaign and strong numbers of visitors to the English Riviera website including Facebook, Instagram and Gmail across all devices (desktop, mobile and tablet), giving us the largest opportunity to reach the target Exeter audience including the use of carousel ads with multiple images. 2018 English Riviera Destination Guide – Book your Space NOW! 2018 Destination Marketing Plans – What Would You Like Included?